Helps remove 99.97% of particles as small as 0.3 microns. Captures unpleasant odors and common allergens. Maintains consistent high performance over time. Replace HEPA filter at least once a year. Helps remove 99.97% of particles as small as 0.3 microns from passing through the filter. Captures unpleasant odors and common allergens. Maintains consistent high performance over time. 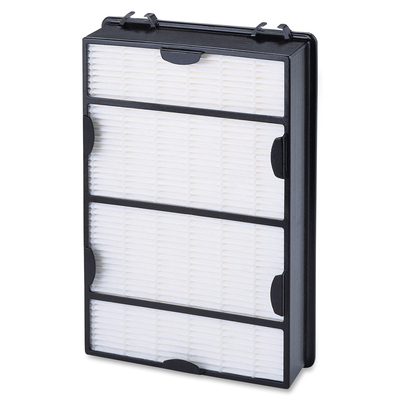 Replacing the HEPA filter at least once a year is recommended.